Known as the Adventure Capital of Fiji, Pacific Harbour is a 2-2.5 hour drive from Nadi International Airport, half way between Nadi and Suva and past the Coral Coast. For divers, Pacific Harbour has become known as the launching point for some of the South Pacific’s best shark feeding dives and for the reef dives in Beqa Lagoon. Pacific Harbour is an ideal destination to add on to your main Fiji dive adventure purely to experience the magnificent shark dives. Alternatively, if you spend your whole dive holiday here, you’ll find plenty to do around Pacific Harbour should you wish to combine diving with adventurous day trips or other watersports. Offering a range of accommodation options, Pacific Harbour is an ideal tropical destination for singles, couples and families and has plenty of shopping and dining options as well. Pacific Harbour sits beside a long stretch of beautiful beachfront along the coastline south of the Coral Coast, just 40 minutes from Fiji’s capital, Suva. Expansive views across the water overlook Beqa Island and Yanuca Island. Pacific Harbour was originally developed in the 1970’s as a residential canal subdivision, evolving into a place for holiday homes and residential units for locals and expats. The area now also attracts many tourists who come in search of adventure activities. Pacific Harbour has more to do than anywhere else in Fiji. Stroll along the longest and safest sand beach in Fiji, dive with the sharks or amongst the soft corals in Beqa Lagoon. Try your hand at game fishing, white water river rafting or enjoy a round of golf at the 18 hole championship golf course. From Pacific Harbour you can surf at Yanuca Island / Frigates Passage, hike through the rainforest or soar over the rainforest canopy by zipline. Pacific Harbour has a variety of cafes and restaurants to dine at plus an Arts Centre for shoppers or you can visit the markets in Suva. Diving is conducted year round in Pacific Harbour. 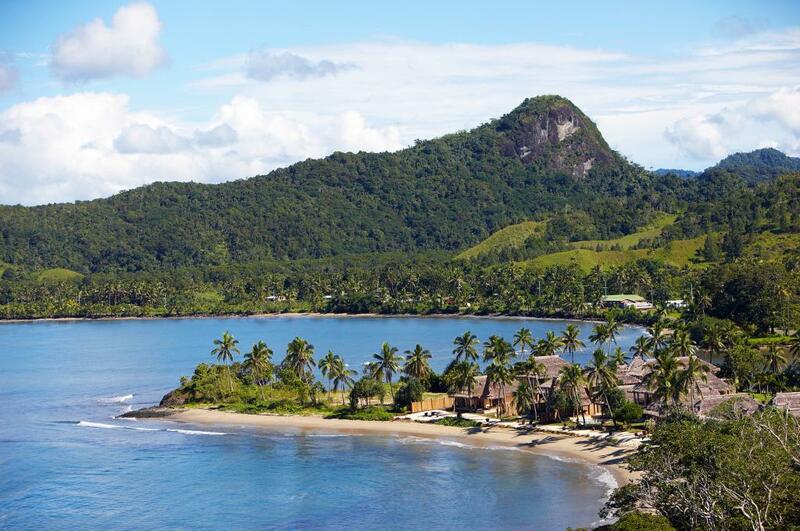 Like all of Fiji, the climate is tropical and warm year round. There are two distinct seasons for diving. The summer months of November – April bring water temperatures in the range of 27°C - 30°C and more rain which can reduce visibility a little. The winter months of May – October bring slightly cooler water temperature in the range of 24°C - 27°C. The Shark Dives are also conducted year round and most species of sharks to be seen are present year round. During the months of November and December the Bull Sharks are seen less at the Shark Marine Parks as is it their mating season. June to August usually present the most Tiger Shark sightings. Dubbed as the Worlds No. 1 Shark Dive, Fiji’s Shark Dive in the Beqa Passage offers up to 8 species of sharks and close to 300 species of fish on the one dive. You will get up close and personal with Blacktip and Whitetip Reef Sharks, Grey Reef Sharks and Silvertips, Tawny Nurse Sharks, Sicklefin Lemon Sharks, Bull Sharks and the occasional Tiger Shark. In addition you may also see Giant Grouper, Maori Wrasse, Rainbow Runners, Giant Trevally, Java Morays, Eagle Rays and more. The Shark Dive sites and surrounding reefs have been declared a protected marine park area to protect and study the previously endangered shark population of the Shark Reef Marine Reserve. a cluster of 5 current swept pinnacles rising up from 30m to within 5m of the surface. The dive site is named after the local village Chief and houses vibrant soft corals, enormous sea fans and lionfish. Hidden on this lone pinnacle amongst the rainbow coloured corals you will find Blue Ribbon Eels, Lionfish and Octopus. An 18m long passage cuts through the pinnacle. There are 4 purpose sunk wrecks in Beqa Lagoon. The largest of the Taiwanese trawlers lies upright at this dive site at a depth of 32m and measures about 40m long. The fishing vessel is now home to a variety of sea life with an incredible coverage of soft corals smothered in brittle sea stars. A giant frogfish lives on the top deck railing. Nearby is a solitary pinnacle the top of which is carpeted with 5 different species of anemone fish and their host anemones.